Talk to any high school student and you’ll realize there aren’t four seasons, but rather five. The fifth? Prom season! Each May, high school students dress in evening gowns and suits and head off to a beautifully decorated venue. 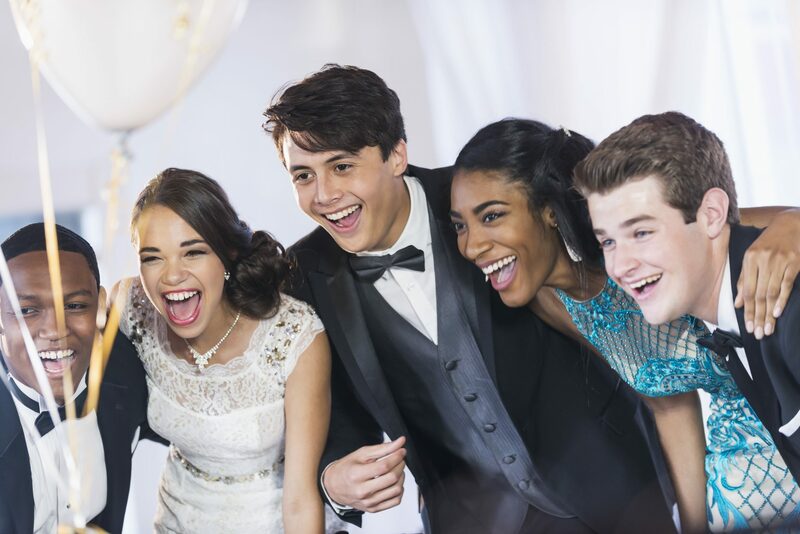 While prom is an exciting night for teens, it can also be a source of anxiety for those who have never experienced an event like this before. Are you nervous about prom? We’ve got a few pieces of advice that just might help ease those pre-party jitters! Don’t stress over your dress (or suit). When you look back on your prom 20 years from now, one of the last things you’ll think about is your dress. Instead, you’ll remember the amazing memories you made. So while we’re not suggesting you grab the first thing you find, don’t stress about finding the perfect outfit. Really! Even if they don’t show it, odds are most people in your class are nervous before prom. Knowing that you’re all in this together can help make the night a little less nerve-wracking. Prom is not the most important day of your life. And we mean this in the very best way possible. Yes, prom is a fun night and one you’ll look back on fondly, but it’s not the most important day of your life. Don’t go in expecting perfection. Despite what high school movies have made us believe, late rides, stuck zippers, and broken heals are surprisingly normal. Everything may not go exactly according to plan, but that’s okay! Students put a lot of pressure on themselves to go to prom with a date. While going with a significant other can certainly be fun, it’s by no means a requirement. Rather than worry about who will ask you or asking someone else, plan to go with a big group of friends. In the end, you may actually have a better time!